It's finally finished! 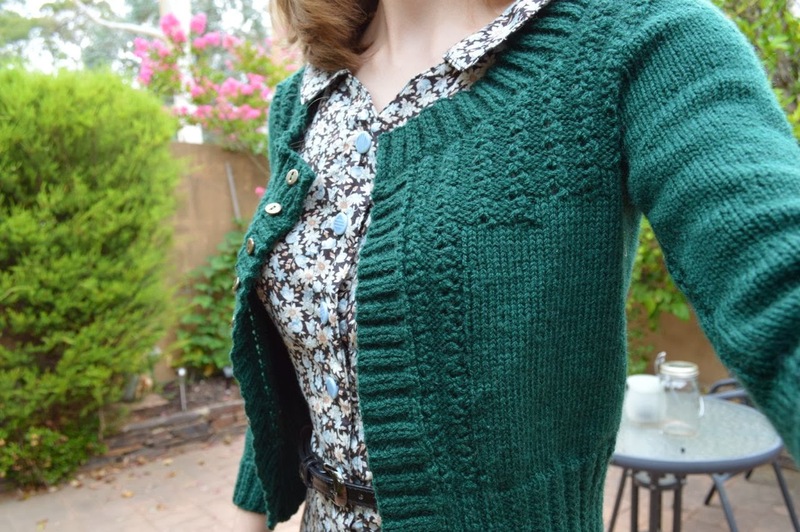 This cardigan took me about 6 months to finish but I finally did it! I admit that I didn't knit the entire 6 months. 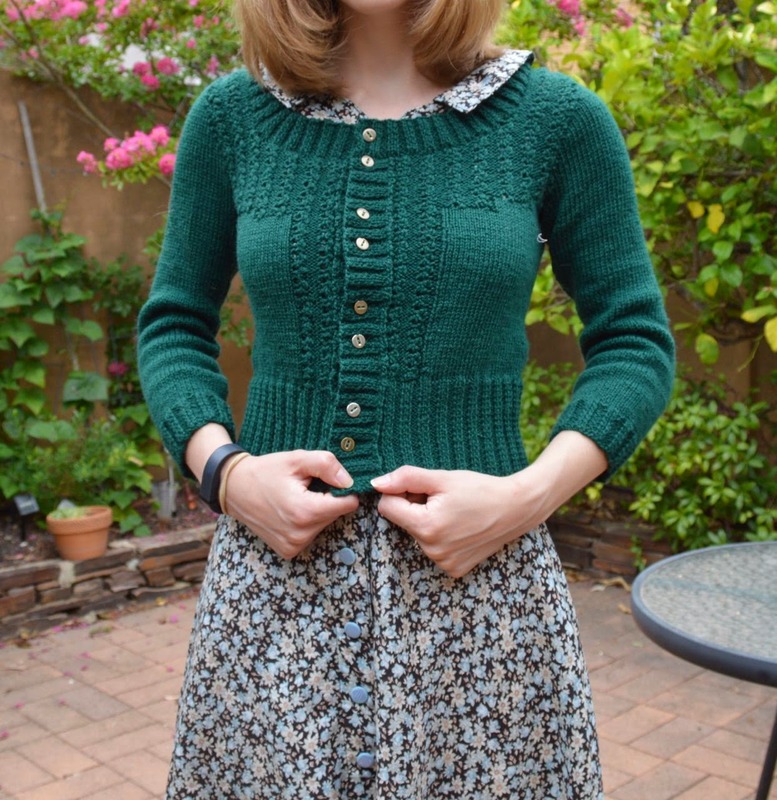 I did loads of other projects in between and sometimes didn't knit this for months at a time! But it was pretty slow going. I made quite a few modifications to the pattern. I didn't do any 1x1 ribbing (because who has time for that), I altered the back slightly to lower the neckline, I made the armholes bigger, and completely changed the sleeves. The sleeves I knit flat, bottom-up, and increased ad lib to the armpit, then cast off ad lib for the sleeve head. I detailed all of this in my ravelry notes. It worked out pretty well IMHO. 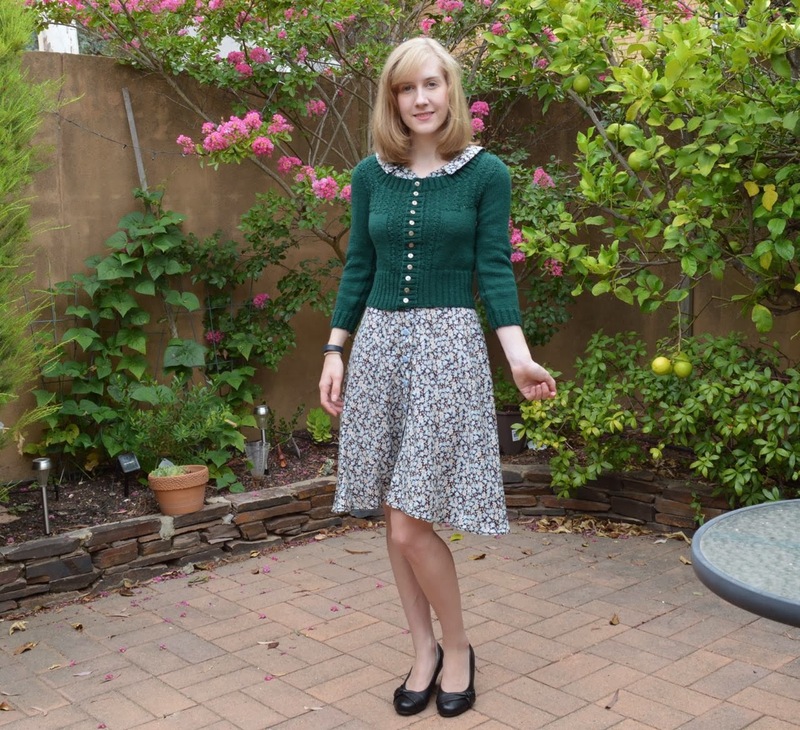 The pattern was free, and only in one size, so everything was fairly lucky! Trying to get a closeup of the lace pattern… it's a pretty interesting one! Mine came out a little more dense than the original, because it's a thicker wool while the original was cotton. There are 12 buttons on this sucker. It takes ages to do them up, so I think I'll wear it with every 3rd one undone, it gives a cute effect. 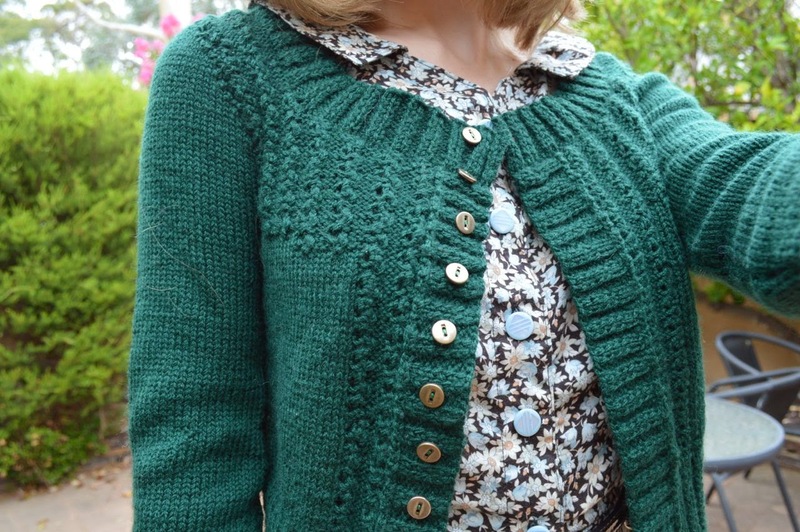 I accidentally was super dumb and sewed the button bands on the wrong way - so I have to do up this cardigan like a man's cardigan. I'll get used to it! You don't really notice unless you're a person who is picky about these things. 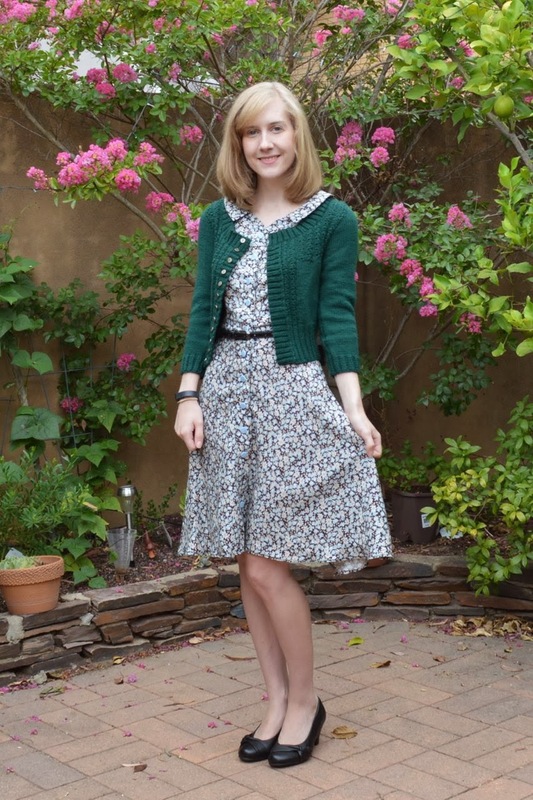 Overall a pretty nice cardigan! 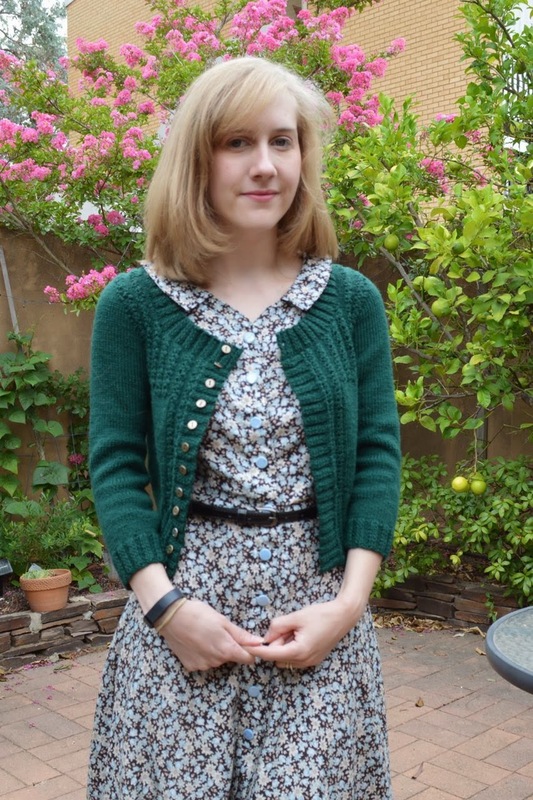 I'm pleased this is finished, now I have a lovely deep green cardigan!